It’s been a very long wait, but Intel’s (NYSE: INTC) first 25nm SSD has finally been officially unveiled and the 320 series will change the world of SSD storage as we know it, or will it? Well, actually, maybe not as the 320 series is actually the same old thing as Intel’s X25-M SSD’s, except it’s not in so many ways that things get a little bit confusing, but read on and we’ll try to clear things up. 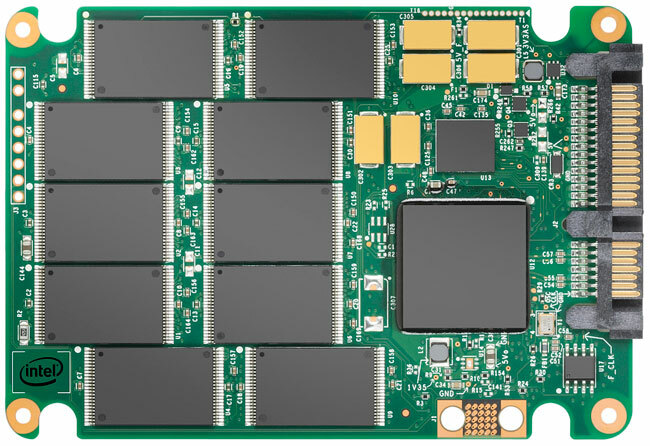 The 320 series might be the first SSDs from Intel to use 25nm NAND Flash memory, but we’re looking at exactly the same SSD controller as the one found in the X25-M G1 and G2 and by extension this is really the third iteration of the X25-M SSD. That said, Intel has added a couple of new features that so far haven’t been enabled in its SSD controller by making a new firmware for it. So what the 320 series will offer over the X25-M series is 128-bit AES disk encryption and support for NAND redundancy. 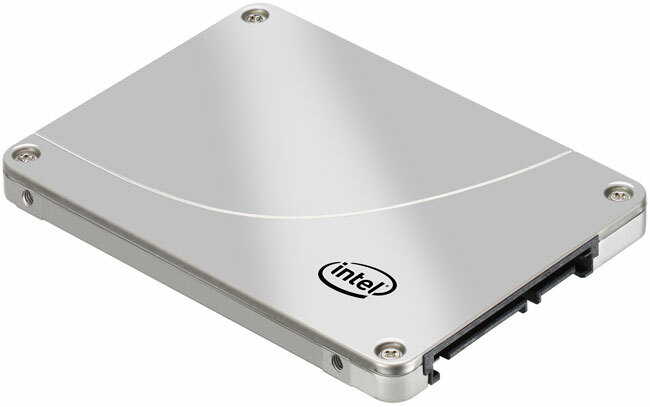 Intel has also added another small, yet important feature, a set of capacitors that will allow the SSD to save any data that hasn’t been stored in the case of a power failure. As Intel’s SSDs don’t store any user data in the cache memory this will only be a tiny amount of data and as such a set of fairly small capacitors was sufficient to offer this feature. Intel has also moved its 64MB of SDRAM cache from a normal desktop type 3.3V memory chip to a more compact, low power mobile SDRAM chip. As far as capacities are concerned, we’re looking at 40, 80, 120, 160, 300 and 600GB models. The write speed has improved and Intel now claims write speeds of 220MB/s which is over twice that of Intel’s X25-M SSDs while the read speed has been improved marginally to 270MB/s. As the interface is still stuck at SATA 3Gbps it’s not as if the interface will be a limiting factor. This also means that Intel won’t be competing on performance with the 320 series, although it’s very likely Intel will try to make the 320 series something of a standard, especially with its partners, which would be a good way to keep the competition out. Price wise things are looking pretty good too, the MSRPs are as follows: 40GB $89, 80GB $159, 120GB $209, 160GB $289, 300GB $529 and 600GB $1069. The jump once you get past 160GB is quite dramatic as you can get two 160GB drives and still have plenty of cash over which would make a lot of sense for a desktop system, although it might not be as viable for a notebook. Compared to current models the 320 series is a fair bit cheaper, especially the 160GB model which is some $100 cheaper than the equivalent X25-M model, not counting rebates. Of course the savings isn’t as great on the smaller models and we’d say that in terms of value for money the 160GB model is pretty attractive.